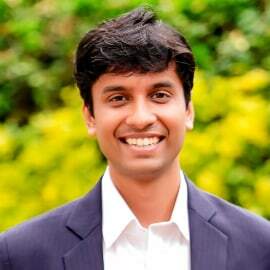 Vishesh has been part of the core team involved in raising capital at d.light. d.light has been a pioneer in off-grid solar energy and has impacted over 80 million people to date through a wide range of affordable solar products. While working with d.light, Vishesh has also been looking into building corporate strategy and its rollout across regions. Specifically for India market, he is currently looking to build new partnerships across channels and manage the rollout of Pay-As-You-go offering in this key market for the company. Prior to d.light, Vishesh has experience in business transformation and financial consulting across MENA region. He holds an MBA from Indian Institute of Management – Ahmedabad.